You may think that Christmas songs, holiday offers and Yuletide preparations are premature but for the small business you can never start too soon. 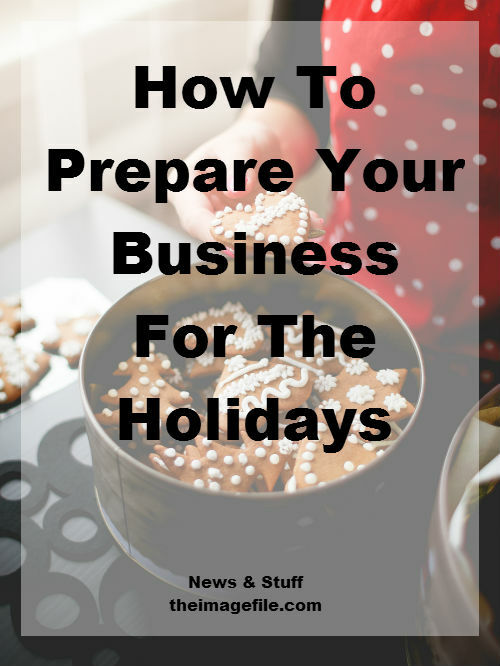 So let’s go over a few ways your business can start getting ready for the holiday season. This could be as easy as applying a seasonal theme to your website, putting out some festive blog posts over the coming weeks or hanging decorations in your brick-and-mortar studio. If you do have a physical premises then you could also add other little touches such as giving out Christmas-themed chocolates or biscuits at photo shoots. By encouraging a festive spirit potential customers are more likely to feel the Christmas cheer and therefore part with their cash. During the holiday season it’s important to adjust your marketing accordingly. This can be done in a number of ways. You could take ads out in the local newspaper and circulate flyers. It’s a good idea to give your SEO a bit of a boost as well – begin thinking about what customers would search for when looking for your products or services. If you send out an email newsletter to your clients consider providing a Christmas promo code to encourage repeat business or maybe send out a few gift-giving ideas e.g. “Top 10 Sentimental Gifts For Dad”, you could include customer testimonials for maximum effect. Throughout the holiday season consider adding some special items to your product list. These could include splurge items such as canvases right down to ‘stocking fillers’ like mugs and mouse mats. Get started on some incentives as some shoppers begin looking for great deals months ahead of time. Consider which type of incentives will appeal to your target audience – maybe tiered pricing? A promotional code? Or free shipping? Also consider switching your offers up on a weekly or bi-weekly basis to encourage more visits and keep your website or studio looking fresh throughout the holidays. Sending Christmas cards to your customers is a great (and low cost) way to promote your business. Sending either a paper card or e-card to past clients is a really easy way to remind them of your existence and possibly encourage repeat business, especially if you include a promo code. It’s important to track your spending and to budget for the ups and downs of your business throughout the year. If the holiday season represents one of the peaks in sales then make sure you are adequately prepared for quieter times. Equally, during Christmas time your business may face some additional costs from various goodwill gestures. Perhaps you are going to throw a Christmas party and invite past customers? Or maybe hand out small gifts to those customers who book you throughout the holidays. Make sure you have made a note of the estimated spending and budgeted well so that there are no surprises. How are you preparing your business for the holidays?